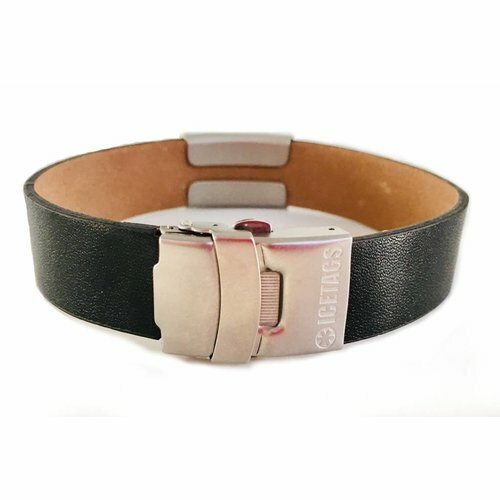 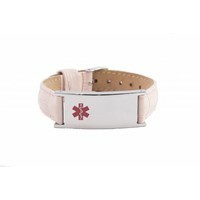 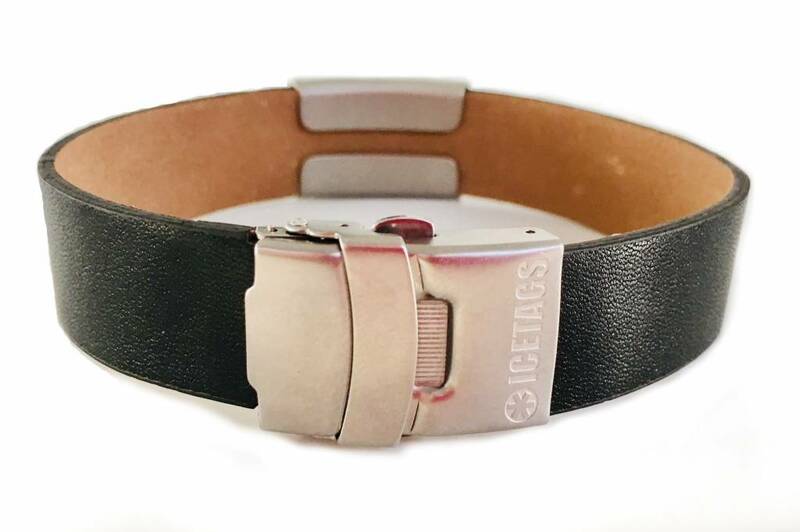 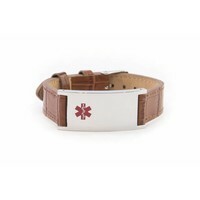 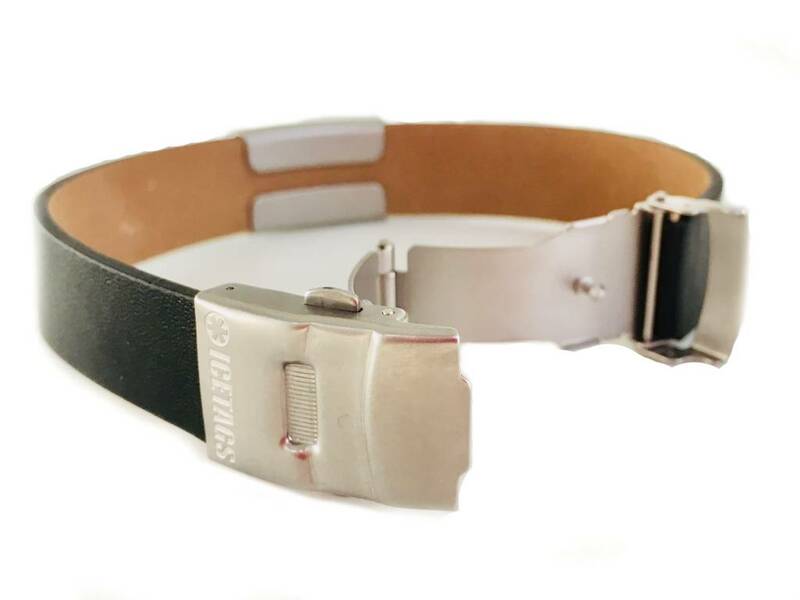 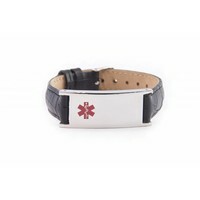 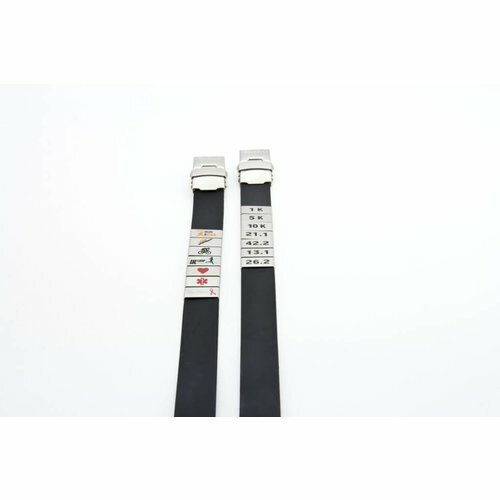 Perfect leather medical ID bracelet for anyone over 6 years old. 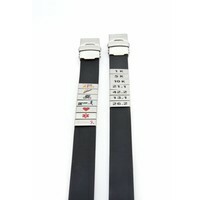 Black leather bracelet that is easy to adjust to your wrist size. 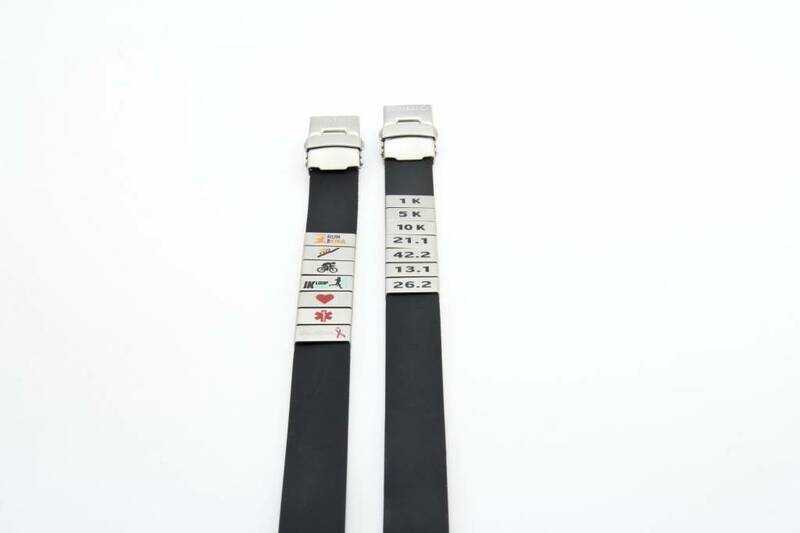 Technical Details: Stainless Steel ID tag with leather strap. 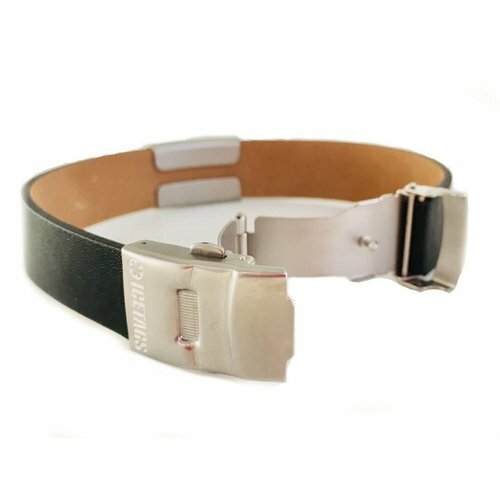 Peace of mind wherever you go!